Everybody loves jeans—it’s the single piece of clothing you’re guaranteed to find in anyone’s closet. They’re always in style, you can’t have too many pairs and your favoites are your most prized possessions. 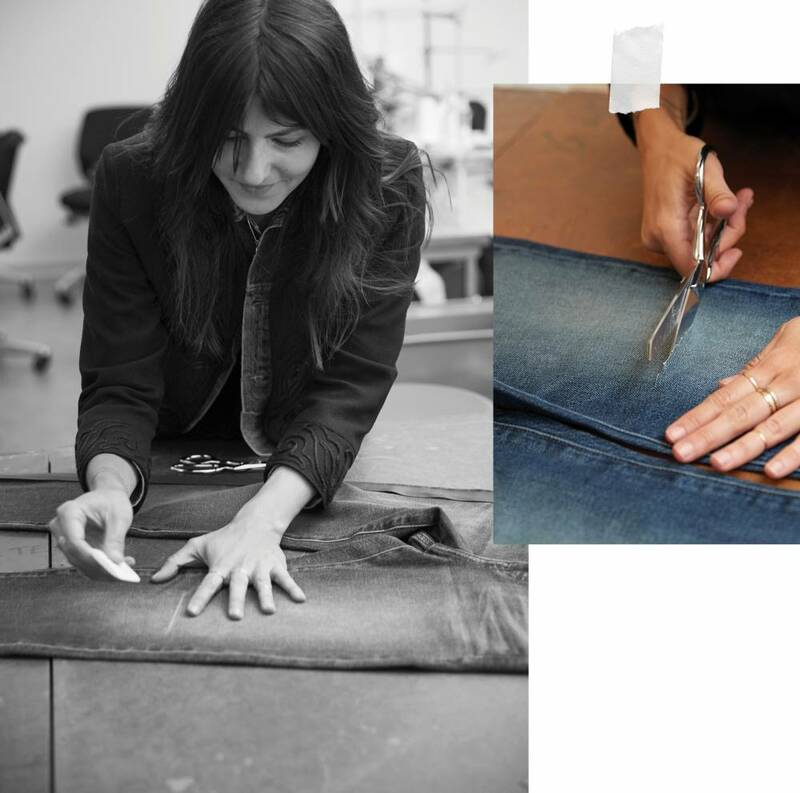 We sat down with our denim designer, Jessica, to learn more about the design process, her first-date jean and what’s on the horizon for denim at Banana Republic. BR: What made you want to design denim? Even at a young age, I was always drawn toward fashion, particularly vintage. As early as high school, I knew I wanted to become an apparel designer and attended Fashion Institute of Design & Merchandising in California for women’s design. Shortly after, the opportunity to work for Levi’s fell in my lap and denim quickly became my passion. I love how universal denim is—there is no better feeling than putting on your favorite pair of jeans. It’s creating that “favorite pair” for others that excites me. I love how denim is this living, breathing thing that evolves with you. BR: Why do you think people of every style love denim? There is nothing better than that perfect pair of jeans. We’ve all had one: It’s the pair that makes you feel amazing no matter what and that you never want to take off. Denim is a very personal thing that has incredible versatility. You could give the same pair to 10 different women and they would all make it uniquely their own. Definitely why I love it so much. BR: Walk us through the design process for a pair of Banana Republic jeans. How does that differ from other design processes you’ve worked through? I’d say the most important place to start is with the fabric itself. 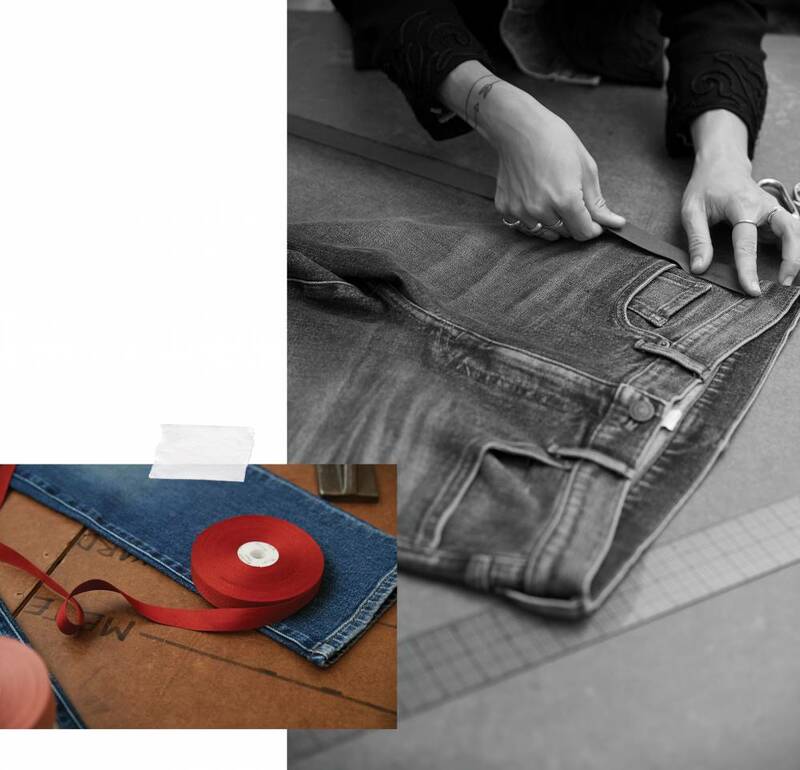 If you don’t have amazing denim to build your line, you won’t get very far with the rest of the process. From there, I do tons of research to get inspired and sketch styles for the season, create unique washes for each style and do a lot of obsessing to make sure we have the best fits out there. A lot goes into it, but at the end of the day, I try to do everything in my power to put the best denim into our stores that I can. BR: If you had to describe Banana Republic jeans in three words, what would they be? The. Perfect. Pair. Haha! No, but seriously: Premium. Versatile. Timeless. BR: Our four main fits are Skinny, High-Rise Legging, Girlfriend and Slim Straight. What made you choose these four silhouettes as our denim base—what makes each of them so desirable? When you take a look at the industry, at competitors, and honestly, what women are wearing, it’s really a no-brainer. We want to give our girl exactly what she wants and we want her to keep coming back to us for her favorite pair(s). These are our core fits and what we believe to be the best offering of “a little something for everyone.” Of course, we expand on this each season with fashion styles and details but at the end of the day, we chose these four because they are the most universal and popular fits. BR: Which fit is the most universally flattering and why? I’d have to say the most universally-flattering fit would have to be our Skinny. The rise hits at a true mid rise, which makes it incredibly versatile for many different body types. I’m meticulous about the details and getting that perfect balance in the leg shape, so I worked closely with the tech team to ensure we had a true skinny with a flattering leg shape from hip to hem. I think this, and our beautiful range of denim, all work in unison to make this our best fit. BR: What’s the future of denim at Banana Republic? This is something that excites me most! Denim is a huge focus for us right now, across both men’s and women’s. There are some amazing things on the horizon and I can’t wait to share them with our customers. Sneak peek: Be on the lookout for new fits, more versatility in rises and leg shapes and new fabrics, all building on the great denim foundation we have today. BR: What makes the partnership we have with our denim mills so special? I think anyone in the denim industry will tell you how important this partnership is. If we didn’t have the partnerships we have at BR with our mills, we wouldn’t be here offering amazing denim products. 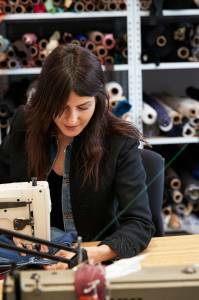 They come to the table each season with tried-and-true offerings, the newest innovations, fresh ideas to make denim more sustainable and the latest trends in denim fabric. Working with our mills each season is definitely one of my favorite parts of the process. BR: What’s your favorite denim trend and why? I’m not big on trends myself, more of a vintage, timeless style lover BUT I couldn’t be more excited about the resurgence of high-rise denim styles—the higher the better—and the pendulum swing of lower to non-stretch denim! It’s my personal favorite and always looks the most authentic to me. BR: Tell us about your all-time favorite pair of jeans. BR: When you’re shopping, what do you look for in a pair of jeans? If I’m shopping for myself, I typically gravitate toward vintage-inspired styles because I love the construction, the fabric and the story behind it. I’m really excited for a new fit I’m working on for BR that’s based on classic, vintage, straight-leg jeans, made modern through beautiful, soft fabric and an incredibly flattering, high-rise fit. All part of the exciting newness on the horizon for BR denim. BR: How many days a week do you wear jeans? How do you typically style your jeans? Skinny or wide-leg? Straight leg. High, mid or low rise? The higher the better! Dark, medium or light wash? More often medium to light. Distressed or pristine? Well-worn or loved, but not distressed. Stretch or selvedge? 100% Cotton, sometimes selvedge, but not always. Ready to find your perfect pair? Shop all four fits and show us how you look #InTheJeans on Instagram.